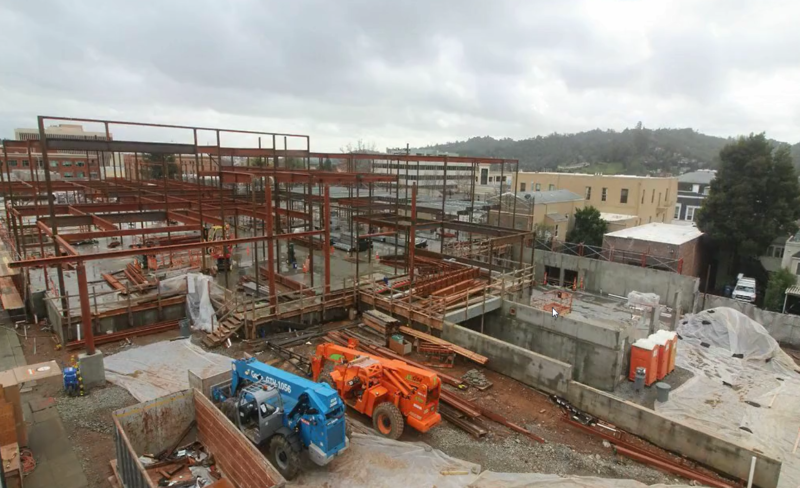 The Contractor continues to install the building structural steel. There are multiple activities occurring in the basement level such as mechanical, electrical and plumbing rough in. The scaffolding around the perimeter is also being installed.